Vipin Parmar, Himachal Pradesh Health Minister, assumes that the dengue mosquitoes are spreading to the town from the jungles. The minister’s diagnosis of the dengue problem in the state came during his reply in the Legislative Assembly. Replying to a debate under Rule 62 on Friday, Parmar was categorical in saying that the jungle fever is stalking the state. The disease spreads most commonly from the jungles to the towns; he said while replying to a question raised by member Rakesh Jamwal, who expressed concern over the spike in dengue patients in Mandi district. “I had studied that there was a time when the dengue mosquito inhabited the forests. Why these circumstances have changed that made a forest-inhabiting mosquito to start living in towns and why it is feeling happy while living in a room,” he said in his detailed reply in Hindi. The minister said a total of 4,946 dengue samples were collected in the state, out of which 1,558 tested positive. Bilaspur district took the lead in positive dengue cases at 783, followed by Solan district (680) and Mandi district (206). Chamba, Hamirpur and Kullu districts have no positive cases of dengue till date. He said the first case of dengue was reported in Bilaspur town on May 28. “We are taking precautions to check a rise in the number of dengue cases which include making people aware of the steps they need to take to minimize its spread,” he added. According to the state Directorate of Health Services, a total of 1,886 dengue patients were reported in the state till August 31, out of which Bilaspur district had the maximum of 865 patients. Two patients also died due to dengue in the state. 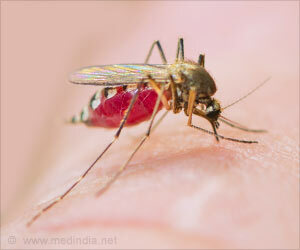 Dengue is a mosquito-borne viral disease, causing significant public health concern in India. Dengue virus is transmitted by Aedes aegypti, the species of mosquito that causes acute illness.